JNN 18 June 2015 Riyadh : Mujtahid A Saudi Politcal Activist quoted Prince Saud Bin Seif Al-Nasr, the grandson of the former king, as saying that King Salman’s totally wrong decisions resulted from his mental incapability has convinced the Saudi princes and monarchy to make some changes in the ruling system. According to the activist, prince Ahmed bin Abdul Aziz, the son of the former Saudi king, is due to replace King Salman. Ahmed bin Abdul Aziz assumes himself as the legitimate and legal crown prince and hasn’t taken the oath of allegiance with Muhammad bin Naif bin Abdulaziz Al Saud, the crown prince, and Mohammad bin Salman Al Saud, the deputy crown prince. Mujtahid quoted Prince Saud Bin Seif Al-Nasr as saying that now that all rights have been trampled, the budget has been looted and the Saudi policy has become chaotic, the only way left is to resort to prince Ahmed bin Abdul Aziz after God. 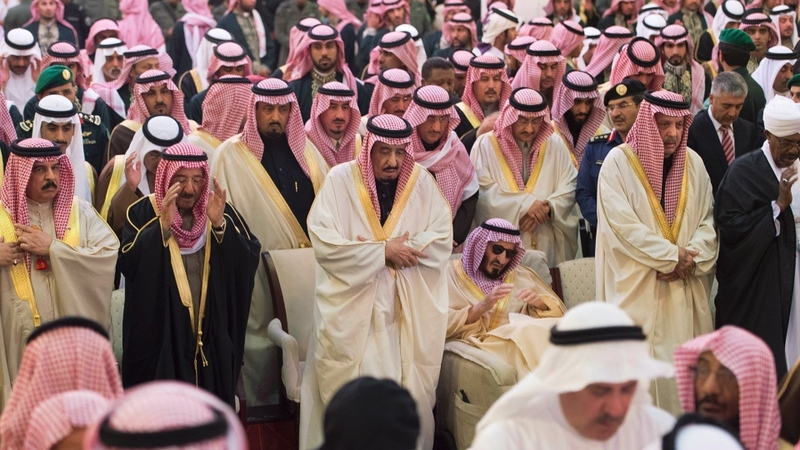 Also, earlier this month, sources in Saudi Arabia revealed that a group of princes have worked out a plan to stand up to King Salman bin Abdulaziz and Crown Prince Mohammed bin Nayef. Jamal Bin, a prominent Saudi activist who writes about the events within the Saudi monarchy on his tweeter page, disclosed concerted efforts by a number of Saudi princes, including Tallal, Ahmed and Mota’b, to take an immediate and integrated position against the events happening in Saudi Arabia. According to him, the Saudi princes are seeking to save their country from the adventurism of Mohammed bin Nayef and his deputy Mohammed bin Salman who are named by Jamal Bin as “teenagers who have perpetrated a coup”. His remarks came after a source said last month that Saudi king’s younger half-brother Muqrin bin Abdulaziz is under house arrest after being relieved of his duties as crown prince. Asa’ad Omabiya Abu Qalilah, an independent Libyan journalist and writer who has links within the Saudi monarchy, said that Muqrin cannot visit anyone or receive any guests at his palace. Mujtahid, a Saudi political activist who is believed to be a member of or have a well-connected source in the royal family, said in his latest tweets that the king’s son, Muhammad bin Salman who is trying to become the next king, has proposed to pay a $10 billion sum to Muqrin. This entry was posted in Middle East and tagged Ale Saud, Crown prince, KIng Salman, King Salman bin Abdulaziz, prince Ahmed bin Abdul Aziz, Saudi Arabia, saudi monarchy. Bookmark the permalink.